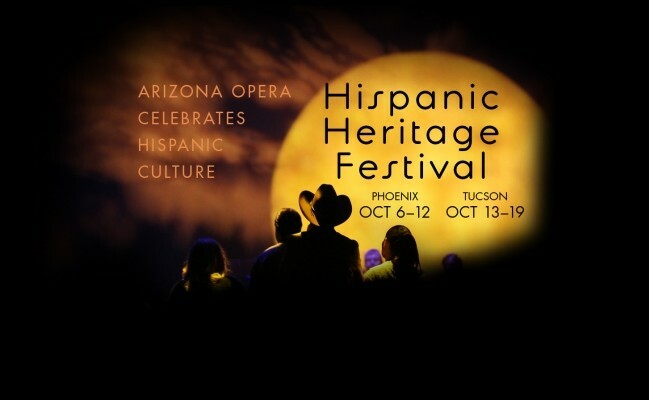 Diversity with local relevance is a prime goal for nonprofit arts organizations, and Arizona Opera hopes to pique interest in its forthcoming mariachi opera and expand multicultural outreach with this week’s Hispanic Heritage Festival. The Festival begins with Monday’s panel discussion on immigration and the arts at Arizona Opera Center, kicking off a week of events leading up to the weekend’s season-opening performances of Cruzar la Cara de la Luna (To Cross the Face of the Moon). Along with moderator Daniel Buckley — a composer, journalist, historian, documentary filmmaker, photographer, and Governor’s Arts Award winner — the roster of illustrious participants includes playwright, journalist, and policy strategist James Garcia and Arizona State University Vice Provost and Professor of History Eduardo Pagán. The third member of the panel is Shoshana Tancer, a highly respected immigration attorney and professor emeritus at Thunderbird School of Global Management. Tancer’s background comprises extensive work in Latin America as well as longtime advocacy for the arts. 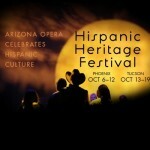 Hundreds of schoolchildren will converge on Symphony Hall Thursday evening to attend the mariachi opera’s final dress rehearsal on Student Night, and Saturday afternoon the Festival concludes its Phoenix events with a showcase of Hispanic art at the Opera Center — “We’ll have some fine art projects and we’ll be showing some Hispanic films,” explains Borths. Opera-goers will also find local mariachi groups playing outside Symphony Hall before each performance, along with the option of informal pre- and post-show lectures. 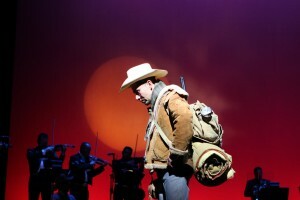 The Festival’s centerpiece, Cruzar la Cara de la Luna, premiered at Houston Grand Opera in 2010 and continued on to the venerable Théâtre du Châtelet of Paris. 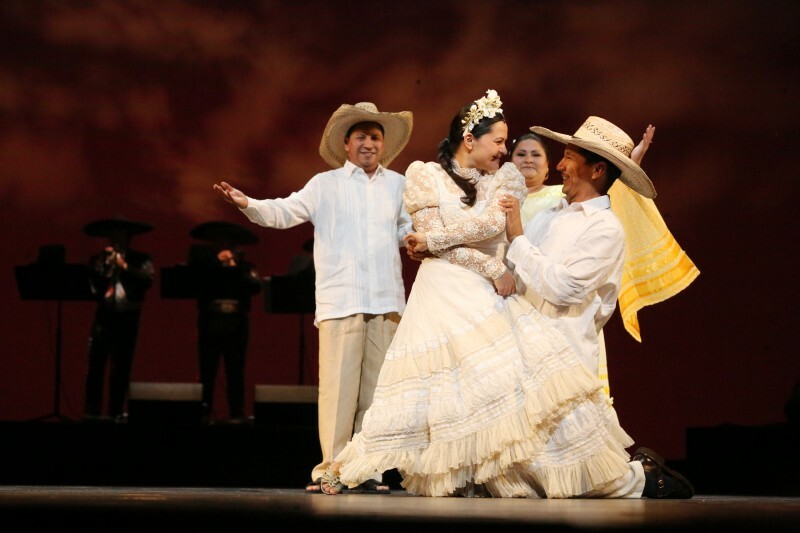 The opera was created by director and writer Leonard Foglia and José “Pepe” Martínez, who served as music director for Mariachi Vargas de Tecalitlán from 1975 until his retirement earlier this year. The music reflects Martínez’s signature of rapid violin ricochets and the mariachi styles of ranchera and boleros. 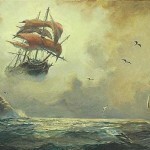 Martínez was also influenced by his appreciation for Beethoven and for the 20th-century classical Mexican composer José Pablo Moncayo, who wrote the famously rhythmic Huapango and the opera La mulata de Córdoba. 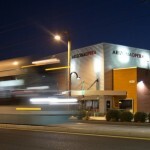 Arizona Opera’s production of Cruzar la Cara de la Luna features the original cast including Mariachi Vargas, which was founded in 1898 and gained even wider recognition by releasing a popular album with Linda Ronstadt — it’s one of more than 200 recordings from the venerable Mexico City-based ensemble. 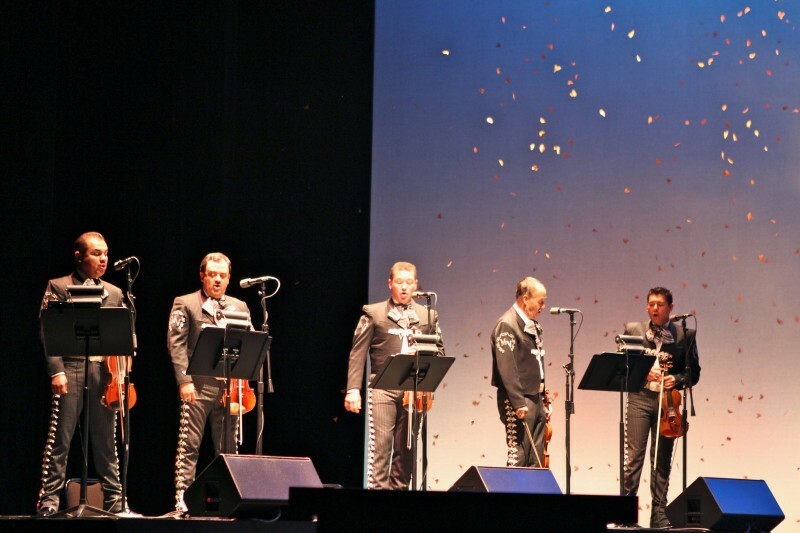 Pepe Jr. will lead the upcoming performances somewhat like a concertmaster leading a chamber orchestra, with the trumpets, violins, and rhythm section of Mariachi Vargas arrayed across the back of the stage. Dancers perform downstage with the soloists, including classically trained baritones Octavio Moreno and Brian Shircliffe, mezzo-soprano Cecilia Duarte, soprano Brittany Wheeler, and tenor David Guzman. Spare, minimal sets and lighting suggest vast desert landscapes interspersed with a few indoor scenes. Mon., Oct. 6 at 6 p.m. at Arizona Opera Center, 1636 N. Central Ave. Thu., Oct. 9 at 7 p.m. at Symphony Hall, 75 N. Second St.
Fri., Oct. 10 at 7:30 p.m. Sat., Oct. 11 at 7:30 p.m. Sun., Oct. 12 at 2 p.m. Sat., Oct. 18 at 7:30 p.m. Sun., Oct. 19 at 2 p.m.
Read an overview of Arizona Opera’s complete 2014-2015 season here. Cruzar la Cara de la Luna was a gem of a show – I went to opening night and thoroughly enjoyed it. Really, it’s a story of a family. The opera is short though, just over an hour, and I wonder that if it has staying power, another Mariachi opera would be paired with it in the future. Just thinking.